Capable of monitoring up to 72 points with 9 analysers, the Honeywell Analytics Vertex Multi-Point Toxic Gas Monitoring System is a continuous hazardous gas monitor that is cost effective. Able to be routed to more than one analyser, the sampling points can be up to 400 feet (121m) from the monitor. The rack can be expanded up to 72 points and is supplied ready for in-field expansion. 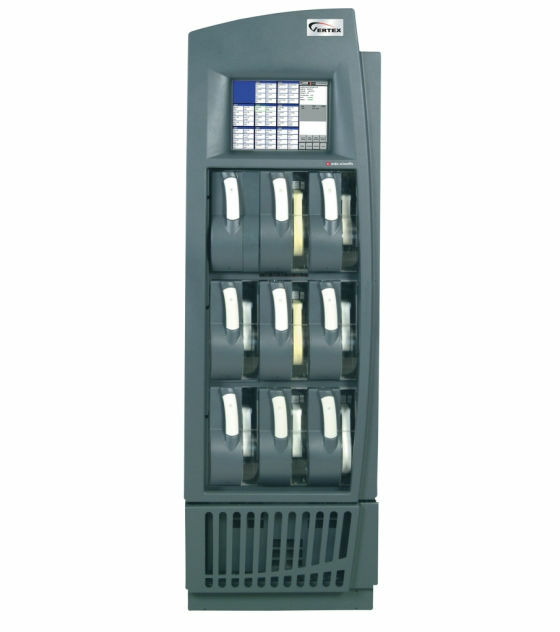 The rack also has redundant pumps and power supplies for increased up-time. The data acquisition center has hot swappable RAID hard drives and an anti-glare LCD touchscreen. 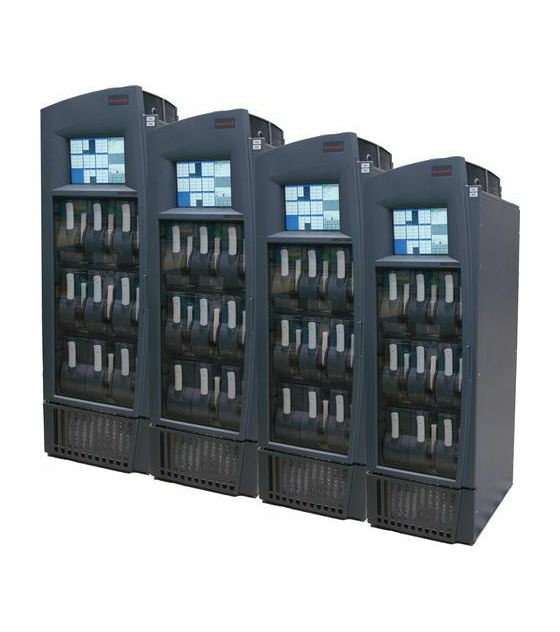 Honeywell Analytics have designed the Vertex to be able to house nine (9) universal Chemcassette analysers, or for three (3) Pyrolyzer analysers and three (3) Universal Chemcassette analysers. Over 40 different gases are available to detect and each 8-point Chemcassette analyser is user configurable to the desired gas family/type. There are numerous optional communication capabilities suitable for the Vertex including LonWorks, DeviceNet, Profibus, ControlNet, Modbus Plus, DF1 interface which is configurable for RS 485, RS 422 or RS 232. 1290-0019 Vertex Base Rack Enclosure: This enclosure contains the data acquisition center, redundant pumps and power supplies, touch screen keyboard, all cable management and ancillary support necessary to install up to nine (9) Analysers, and an accessory kit. Accessory kit includes backup CDs of all appropriate software, electronic manual, installation drawings, auxiliary analyser key and 50 feet (15m) of exhaust tubing. This unit should be ordered with one of the relay or serial communications. 1291-1001 Universal Chemcassette analyser: Each analyser can monitor up to eight (8) sample points. Note: The analyser does not include a Chemcassette. For each analyser order the appropriate Chemcassette. 1291-2001 230V Pyrolyzer analyser (to be ordered with new systems): This monitor is specially designed to detect Nitrogen Trifluoride (NF3) via conversion to Hydrogen Fluoride (HF) by an integral pyrolyzer. Each analyser can monitor up to eight (8) sample points. The selection of each Pyrolyzer analyser takes the place of two (2) adjoining Chemcassette analysers. A maximum of three (3) Pyrolyzer analysers can be put into one rack. This Pyrolyzer analyser can only be installed in the new enclosure (Part Number 1290-0019). Note: For each analyser order the appropriate Chemcasssette. 1291-2000 Pyrolyzer analyser: This monitor is specially designed to detect Nitrogen Trifluoride (NF3) via conversion to Hydrogen Fluoride (HF) by an integral pyrolyzer. Each analyser can monitor up to eight (8) sample points. The selection of each Pyrolyzer analyser takes the place of two (2) adjoining Chemcassette analysers. A maximum of three (3) Pyrolyzer analysers can be put into one rack. This Pyrolyzer analyser is only to be ordered for analyser expansion of the older syle enclosures (P/N 1290- 0300 and 1290-0302). Note: The analyser does not include a Chemcassette. Order the appropriate Chemcasssette. 1295-0510 Line integrity kit for the Vertex gas monitor system enabling automatic scheduled pressure test of each sample line for integrity check. Kit includes software license per separate analyser and 8 check valves and associated accessories per analyser unit. Note: A separate line integrity kit needs to be ordered for each analyser in each Vertex rack; price does not include labor to install check valves at client site. 1295K0497 H2S in line scrubber filter (1 per individual inlet line). Up to 3 months use.